The crisis of affordable housing over the next generation will be concentrated among renters. At the center of this crisis are low-income people of color living in urban areas. Households from these communities have been overrepresented among renters for decades, and in the recent housing market collapse, they have been disproportionately the victims of foreclosure and foreclosure-related evictions. Historically, these are also the same populations that have been uprooted from their homes and had their communities torn apart — by urban renewal in the post–World War II era and by gentrification and federal poverty deconcentration programs more recently. Federal housing policy and the private housing market, rather than providing social and economic stability for historically marginalized households, have instead been the cause of chronic housing insecurity. 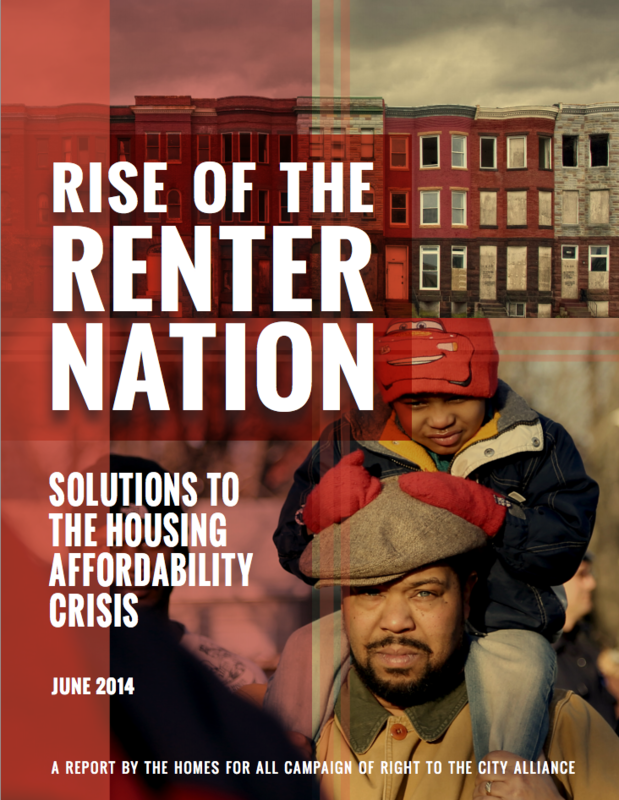 Urban Habitat's Senior Program Manager, Tony Roshan Samara, was the principle author of Rise of the Renter Nation. For more information, you can contact Tony at tony@urbanhabitat.org or (510) 839-9510 x313.